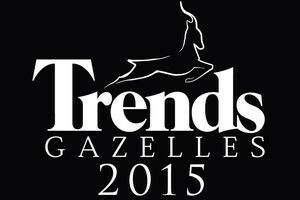 Every year, Trends Tendance Magazine publishes a ranking of the 200 most successful companies by province in Belgium. This ranking is divided into 3 groups: large, medium and small companies. This year, we were happy to see that Simonis Plastic was mentioned among the top 25 in the “small company” category. The ranking is calculated based on different economic indicators like the growth in turnover, the growth in cash flow and, the growth in staff. This accurately reflects Simonis’ efforts to grow despite the ongoing economic and financial crisis. We are convinced our growth is due to our relentless pursuit to be increasingly innovative and our commitment for excellence in every customer’s project we participate in. Simonis hopes to continue being present in next year’s publication, and perhaps in an even higher ranking.